Located on the northeast face of Craney Hill in Henniker, New Hampshire, Pats Peak is one of southern New Hampshire's most popular ski areas. While many areas large and small have come and gone in the region over the past half century plus, Pats Peak has been able to gradually improve its facilities, attributing much of its success to a business model that avoids debt whenever possible. The roots of Pats Peak date back to early 1962, when Joe, David, Wayne, and Stuart Patenaude began to develop a ski area on Craney Hill. Half of the land was owned by their father Merle, while the other half was acquired for about $10 an acre. Four trails and two slopes were cleared with some of the resulting timber used for constructing a lodge uphill from the present day base area. Pats Peak ski area opened on January 5, 1963, supported by a lift network consisting of a double chairlift, a T-Bar, and a rope tow. Night skiing was available on a semi-private basis. With much of the initial terrain steep in nature, the novice Valley area was opened for 1963-64 season, serviced by a new 1,900 foot long T-Bar. 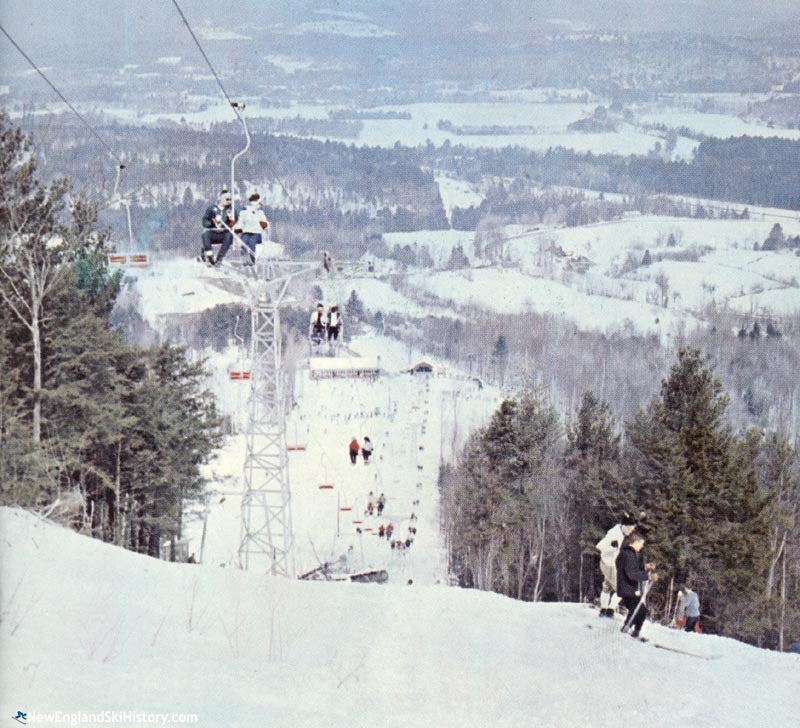 A double chairlift was added to the Valley area for the 1969-70 season. The base area was transformed starting in 1968, when the Peak double chairlift bottom terminal was moved downhill and work was started on a new, much larger base lodge was constructed nearby. Designed by Doug Wilkie, construction of the facility likely spanned multiple years, including during the poor 1969-70 season and the banner 1970-71 season. In the midst of some bad snow years in the early 1970s, Pats Peak installed its large scale snowmaking system for the 1972-73 season. "Snow White and the Seven Wells" referred to what was then considered the largest air compressor in New England (made in the 1930s and found by Joe in Maine), and the series of wells providing water (likely drilled by Wayne's Contoocook Artesian Well Company). Pats Peak's snowmaking system enabled it to host the United States National Slalom Championships in February of the rough 1973-74 season. Soon thereafter, Pats Peak Academy was launched, providing racers with slope time while teaming up with New England College and New Hampton School for academics. 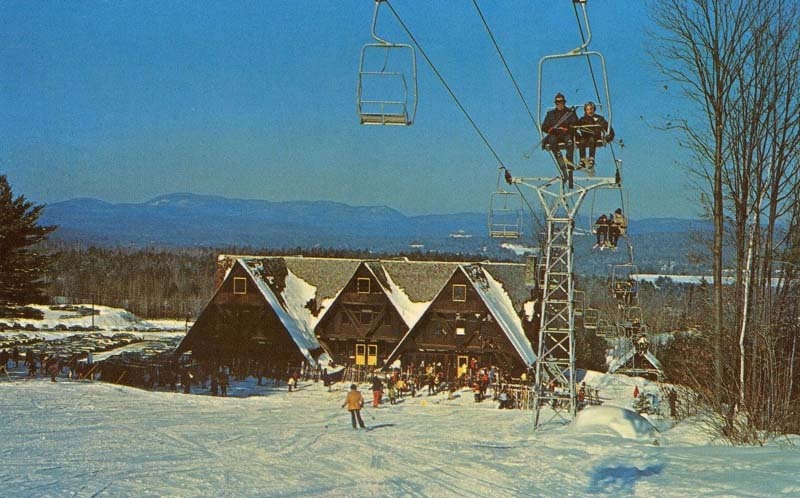 For the 1977-78 season, Pats Peak constructed the Valley Lodge and installed one of the state's first triple chairlifts. A Borvig model, the Hurricane served as the main lift at Pats Peak for the next four decades. While many other areas shut down in the 1970s and 1980s, Pats Peak chugged along. 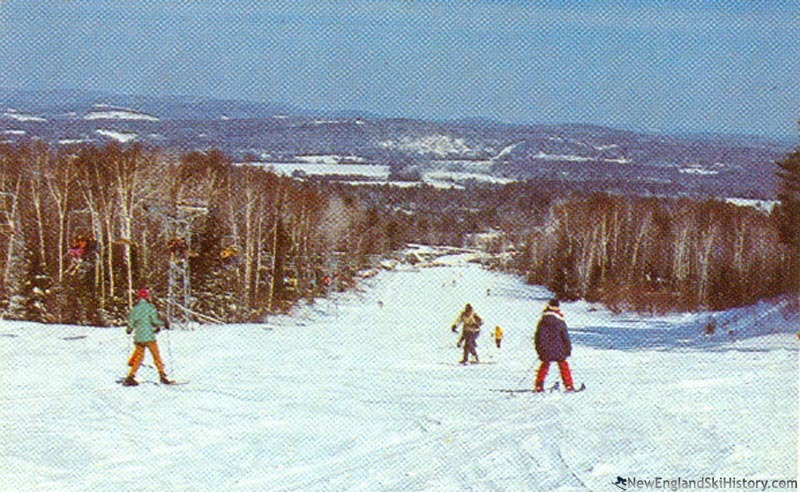 The Valley double received a new drive terminal for the 1989-90 season, while other trails were widened to improve skier capacity. As the mid 1990s arrived, Kris Blomback was promoted to general manager. Blomback later told SkyTrac, "first and foremost I consider myself a caretaker of this facility and want to make sure I leave it like a Boy Scout - better than I found it." Snow tubing was added for the 1997-98 season, while a J-Bar was relocated from the recently closed King Ridge. 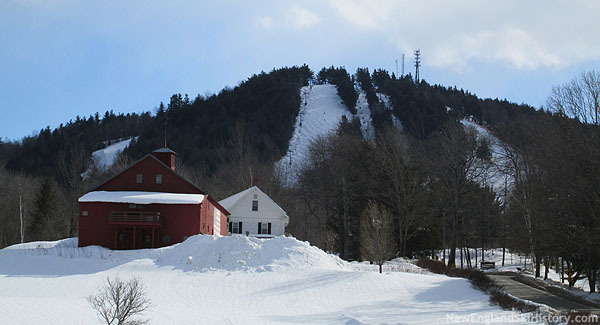 The following year, a double chairlift was purchased from the recently closed Norwich University ski area and installed on the main mountain, providing racers and experts with a short, fast ride. Circa 2002, Pats Peak announced a massive five year base area expansion, including an additional 8,000 square feet of lodge space. The improvements helped the area to become a popular location for off season banquets and weddings. 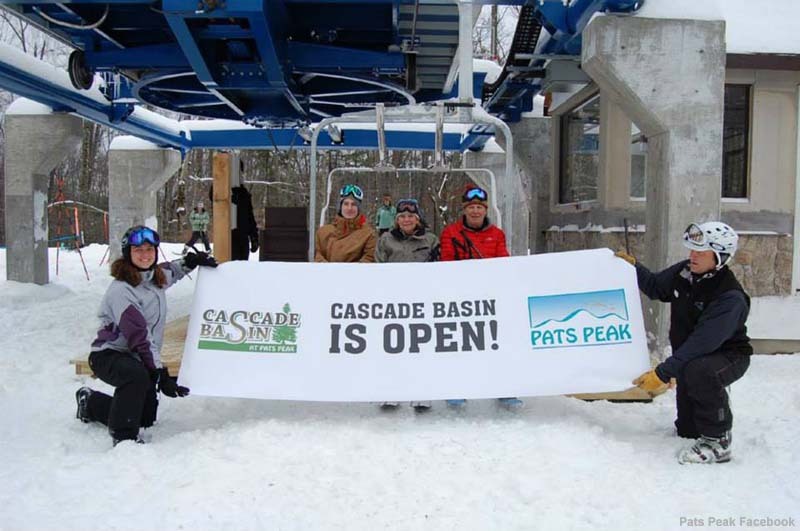 Pats Peak's second triple chairlift was installed for the 2003-04 season. Named Turbulence, the Partek-Borvig triple chairlift took some stress off the Valley Double. Meanwhile, the snowmaking system was gradually improved, allowing Pats Peak to consistently be amongst the first areas in the region to operate each season, as well as to get 100% of its terrain open. The Backdraft trail debuted for the 2012-2013, previewing development of the new $1 million Cascade Basin area. The new pod opened on December 19, 2013, featuring a triple chairlift and new intermediate terrain. In late spring 2014, Pats Peak purchased and removed the remaining lifts at Ascutney, VT, retaining the Snowdance Triple. Three years later, the lift was refurbished, upgraded, and installed as a replacement to the original Peak Double. Meanwhile, a long term main lodge expansion continued, as well as the installation of additional snowmaking equipment. "I went to Academy at the peak and later on started my ski instruction career at the peak, this place is near and dear to me"
"Had the privilege to start my coaching career at the Peak with a fabulous group of adults and kids. I remember working with Olga, I trust al is well with you." "i spent a few of my winters there going to a awesome small racing academy and getting great coaching from some of the best I love the Peak"